Tax debt can be discharged through bankruptcy, but you need to understand the rules. The key is filing your returns on time. 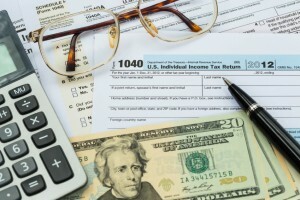 I spend considerable time in my bankruptcy practice dealing with clients with tax debt. It’s common. And one common problem with these clients is that, all too often, they have not filed their tax returns on time—or even at all. You might think it’s pretty obvious when an income tax return is filed. Not so. Three Courts of Appeal have weighed in on this issue addressing the “hanging paragraph” in the 2005 Bankruptcy “Reform” Act found in section 523(a)(1)(B)(i). The most notable (or perhaps notorious) case is the McCoy decision. McCoy is a 5th Circuit Court of Appeals decision which held that a late filed return—even one day late—isn’t a “return” for bankruptcy purposes. The way it stands now, the First, Fifth, and Tenth Circuits follow the “one-day-late rule,” meaning that a return filed even one day late can never be considered a “return” for bankruptcy purposes. However, in Justice v. United States of America, on March 30, 2016 (a few days prior to this post) the 11th Circuit Court of Appeals recently declined to follow the one-day late rule of McCoy, but the debtor still lost the case because he didn’t present any evidence of an honest and reasonable attempt to comply with the filing deadline. Strictly speaking, the Court didn’t resolve the one-day-late rule issue; it merely held that even if the rule was incorrect, Mr. Justice (yes, that was the debtor’s name) had not met the requirement of showing that his return was an honest attempt to comply with tax law requirements in filing returns. Justice only filed his returns after the IRS filed Substitutes for Return (“SFR”) for all years at issue. This happens when a taxpayer doesn’t file his own return, and the IRS files the return based on information from available information (like W-2s, 1099s, etc.). However, it’s somewhat of a good sign that the 11th Circuit didn’t fall in line with the others and simply hold that because the return was one day late, it wasn’t a return for bankruptcy purposes. The big thing I watch out for here in my Charleston, South Carolina bankruptcy practice is whether the IRS has filed a Substitute for Return (“SFR”). Mr. Justice would have lost his attempt to discharge the tax debt here in South Carolina as well. In Moroney v. U.S., 352 F.3d 902, 907 (4th Cir. 2003), the Fourth Circuit Court of Appeals held that once the IRS files a Substitute for Return, the taxpayer can no longer file a return for bankruptcy purposes. (Note, I said “bankruptcy purposes.” The taxpayer can file a return for tax purposes and certainly should do that so exemptions and deductions can be claimed, which would result in a lower tax liability). File your returns on time. Some clients say they didn’t file their tax returns because they knew they’d owe money and couldn’t pay. This is not a valid reason for failing to file a return. And strategically, it’s like shooting yourself in the foot. Inability to pay isn’t the problem; not filing on time, or at all in some cases, is the problem. Here in South Carolina, we don’t have a decision like McCoy, so we don’t operate under the “one-day-late rule.” But don’t press your luck. We do have the Moroney decision, and if you dilly dally with filing your income tax returns until after the IRS files a Substitute for Return, you’re out of luck in bankruptcy world. Those taxes are never dischargeable. Always file your tax returns on time! PreviousPrevious post:Keeping Your Car out of BankruptcyNextNext post:We’re Moving!